Save Svetlograd from evil imps! Imps have taken over the mighty city of Svetlograd! Protect your beloved home from these evil, but kinda cute imps! Upgrade your cannon to make it more powerful, use an assortment of wild bonuses and find ancient treasures hidden throughout the levels. 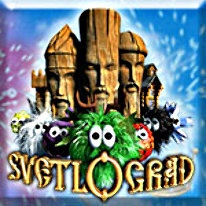 Become the hero of the magnificent city of Svetlograd!